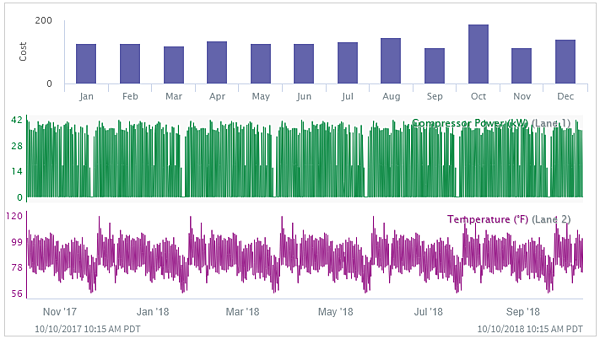 An industrial cooling system compressor is operationally inefficient if it is unnecessarily running on high in low temperature environments. 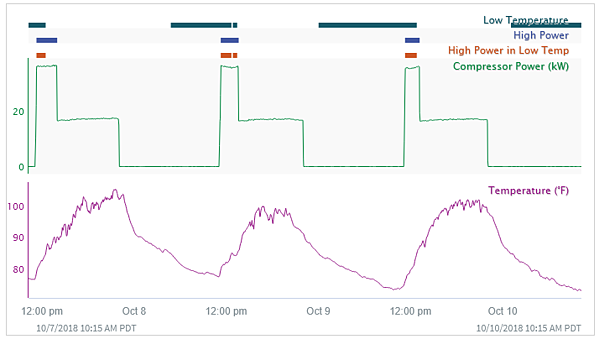 Using the compressor's temperature, power, and running status signals over time as input data in Seeq, it is possible to isolate conditional times as “capsules” whenever the compressor’s status is running on high power during times of low temperature (say, below 90F). 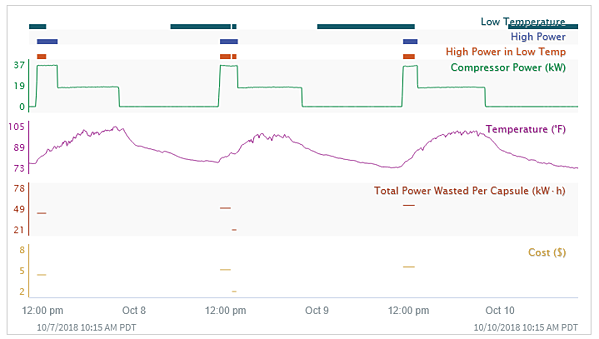 Accumulating the power (in kW) during these capsules via integration or totalization of the power signal over hours results in the total energy (in kWh) wasted during each waste event. 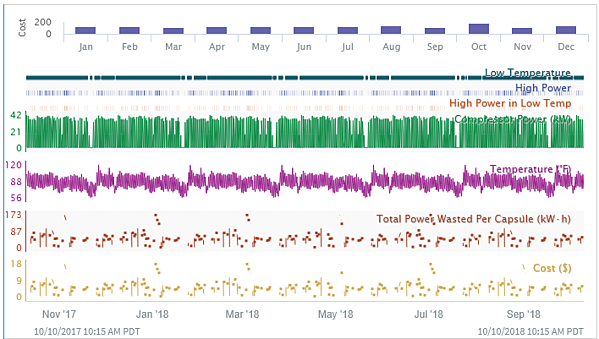 This new signal can be converted into the total cost of energy wasted per waste event by scaling the energy by the electricity rate ($/kWh). 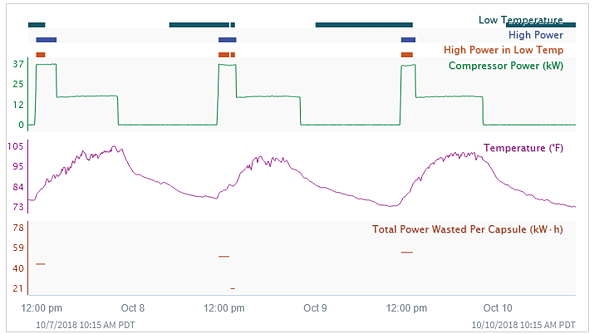 The resulting analysis clearly shows that the compressor is most inefficient during the months of August and October, and the total savings of about $1,200 per year is easy to see. 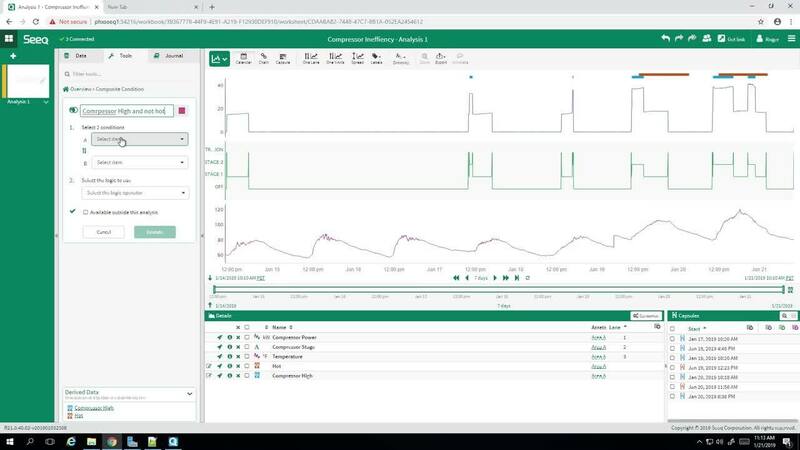 This information will help the plant owner evaluate the business value of system improvements from control system changes to upgrading the cooling system.